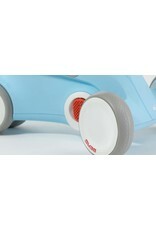 A two-in-one ride-on vehicle that goes the distance as your little one grows. 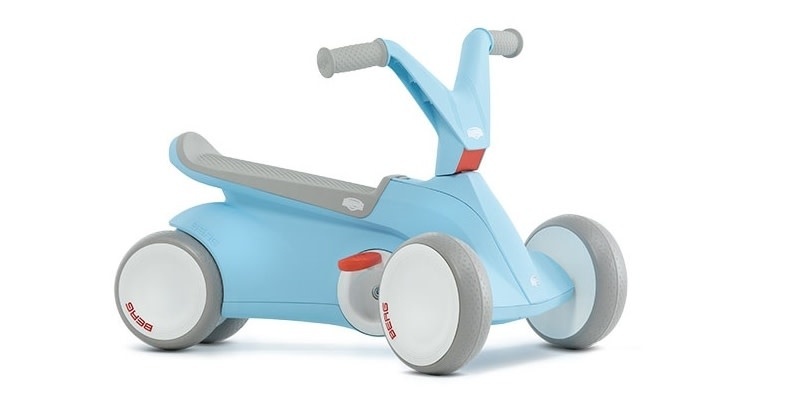 The BERG GO² is an eye-catching, sleekly designed pedal go-kart for children 10-30 months. 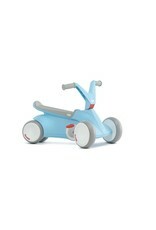 For beginning walkers, keep the pedals folded up and let them learn to scoot. Its innovative design keeps the rear wheels away from feet. When they are ready for the next stage, put the pedals down and let them cruise on whisper quiet wheels - inside or out. No worries about tipping. The four wheels are safely grounded. By design the saddle will keep your child safely seated. It’s long and inclined, so there is never any need to adjust the handlebars. 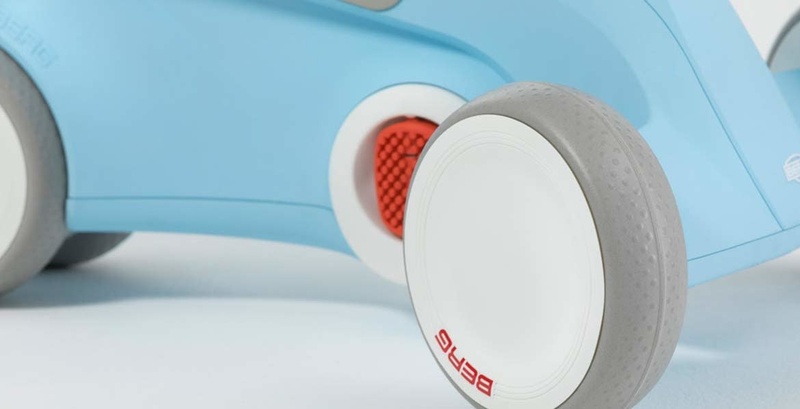 The BERG GO² is perfect for physical activity and gross motor development as your child grows. A Netherlands company, BERG has more than 30 years of experience in developing, producing and selling active outdoor playtime products. Their mission is to inspire active play. The company has its own team of experienced designers and engineers work daily leveraging innovative design with technology, function, quality and safety.